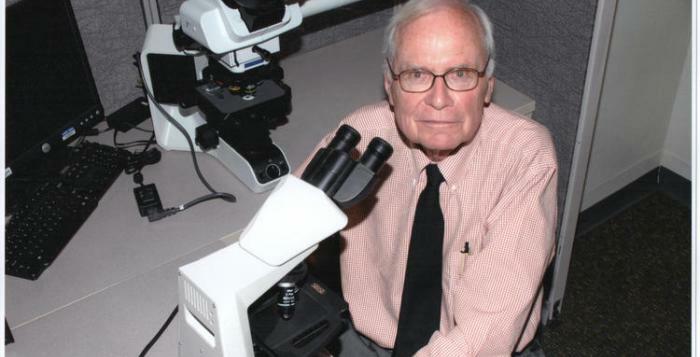 Dr. Thomas Rea, a dermatologist, and researcher who contributed with major treatments for patients with Hansen’s disease –also known as leprosy— passed away on February 7 at the age of 86, after a battle with cancer. Leprosy was once feared as a devastating disease, says the CDC. The dermatologist died in his home located in the San Gabriel Mountains in northern Los Angeles, as confirmed by Mr. Rea’s son Steven Rea, a movie critic at the Philadelphia Inquirer who exclusively talked to the L.A. times. Mr. Rea alongside Dr. Robert Modlin, a professor at the David Geffen School of Medicine at UCLA, were able to determine the function that the immune system plays in symptoms caused by leprosy, such as skin lesions that may be discolored, and skin growths. Prior to their findings, scientists had not been able to explain such a link. As a result of their investigations, the scientific community achieved the creation of new treatments that made the disease non-contagious, allowing patients to live normal lives, said L.A. Times on Monday. Hansen’s disease is a long-lasting infection caused by bacteria, “which was once feared as highly contagious and devastating disease”, says the U.S. Centers for Disease Control and Prevention. Fortunately, nowadays the disease is not common and very easy to treat. Moreover, the disease that was extremely difficult to care started being “entirely controllable” thanks to Rea and Modlin investigations, explained Dr. David Peng, from USC’s Keck School of Medicine, in an interview for L.A. Times. Rea also collaborated with the development, and permissions of use of thalidomide, a drug that is currently used as a treatment for some cancers and cases of leprosy. The U.S. Food and Drug Administration had stated that the drug might cause birth defects, however, Mr. Rea defended its use for limited cases. According to the World Health Organization, most countries are committed to eradicating leprosy of Earth. In 2007, the Democratic Republic of the Congo and Mozambique announced that they had reached the elimination of the disease nationwide. However, there are still a few countries with registered cases of Hansen’s disease such as Angola, Brazil, India, and Madagascar. “According to official reports received from 103 countries and territories, the global registered prevalence of leprosy at the end of the first quarter of 2014 stood at 180,464 cases, while the number of new cases detected during 2013 was 215,557,” wrote WHO authorities in a statement.